Spacepaste is our Metallic Glitter Concentrate designed to give the appearance of metal on the skin. Spacepaste contains luxury cosmetic glitter lightly coated in our signature lemon adhesive base. The shades are very specific and each pot contains over 1/2 oz of product. A synthetic brush will get you full coverage, tapping on with a finger will get you the more traditional appearance of glitter. Spacejam is our Ultra Luxe Glitter Balm that contains over a dozen assorted luxury cosmetic glitters in different colors, shapes and sizes. Each blend has it's own signature look and feel. We also offer custom Spacejams that you can design with us making you you the artist! Spacepaste and Spacejam are both 100% hand crafted in small batches so slight variations may occur. We have been doing research on the subject since starting our company in 2015. We've learned that the term "bio-degradable" itself means very different things to different people. The short answer would be "yes", but there is no short answer when discussing this topic. We believe simply saying "yes" just to get sales is unethical, but we are seeing it more and more with competitors trying to make a quick sale. We love to use this question as a opportunity to educate consumers on the truth about bio-degradable glitter and have written a blog to provide more in depth information. All LHLA products are Vegan, Cruelty-Free and paraben-free. Our high performance luxury cosmetic glitter products were originally created for professional artistry use, but are safe for people 12 and older. While the FDA does approve glitter for cosmetic use, they will not approve any use of glitter on the eyes specifically. Our content is created by professional makeup artists. Caution and responsibility should always be exercised when using. Keep LHLA products out of the reach of children and recycle after use. Lemonhead.LA was created for personal use on set of music videos and photo shoots. The LA makeup industry has grown so much in recent years and with that means there is more competition and less work for all of us. We believe in giving back to the community that made this dream a reality for us and we are proud to be 100% hand crafted by local Los Angeles makeup artists. If you're a working artist based in LA and would like to be considered to join our freelance roster, please send your resume and cover letter to careers@lemonhead.la. We are in the process of developing an official program for professional artists. Special pro-pricing is available through these specialty retailers: Nigel Beauty Emporium (LA), Naimies (LA), Alcone (NYC), Camera Ready Cosmetics (Dallas, TX) and Musebeauty.PRO (online). Contact information can be found on the retailer section of our website. Due to the nature of our products being handmade and shipped out of our LA office, please allow up to 72 hours for your order to process. Domestic orders can expect to be received between 3-7 business days after processing. We are not Amazon. We make every product by hand, package and ship with a lot of love to you. We are not responsible for stolen packages so please check the tracking you receive once your package has shipped and notify your local postal service to leave packages securely in your mailbox or hidden from potential thieves if you're not going to be home at the delivery time..
We offer FREE* worldwide expedited shipping on all orders over $150 USD and many of our customers choose to order as a group to take advantage of that option. All other international shipments start at $25 USD and ship UPS Expedited with full tracking to your destination. We understand it's expensive. In the past, we have offered less expensive shipping options but too many orders have taken months to arrive or have gone missing with no traceability leaving our customers and ourselves disappointed. We want to make sure you are not only happy with our products, but that your products also arrive quickly and in perfect condition. Our international shipping almost always arrives within 10 days of purchase, and often times sooner. If you're an international customer, make sure to check to see if our products are available at a retailer in your country! *FREE international shipping on orders over $150 only applies to all international orders without additional fees such as rural delivery areas. In those rare cases, only the rural delivery fee will be charged, all other delivery charges will be paid for by LHLA, other than duties and taxes, which are the responsibility of our international customers and which rates are made by the destination country. If customer refuses duties and taxes and the order is shipped back to us, customer will be refunded amount paid minus all fees we were charged. Due to the nature of our products being handmade in small batches, all LHLA sales are final. If you love glitter, you're going to love our products, guaranteed. If your order arrives incorrect please email us within 14 business days so we may fix it. Being Vegan & Cruelty-Free is extremely important to us. We are certified with Leaping Bunny & PETA. We will also never consider distributing our products in countries such as China until their animal testing laws change. We want to be a brand that inspires other brands to do better. By manufacturing ourselves, we remain in control. We are proud of the fact over 80% of the waste we accumulate at our headquarters is recyclable. We choose not to use any excessive disposable packaging and print all marketing materials on recyclable paper as much as possible. Our packaging itself is chic, minimal and recyclable. Click here to see how our customers are reusing our jars! All ingredients are located on individual product pages. If you're a retailer interested in carrying our products, please contact us to be added to our waitlist. Please include your website, yelp reviews, projected sales and resellers permit* (CA only). Don't just take our word for it.. Lemonhead. LA is certified Vegan & Cruelty free by both Leaping Bunny and PETA. 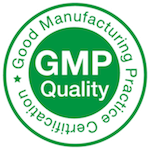 We are proud members of ICMAD and our facility is certified GMP.